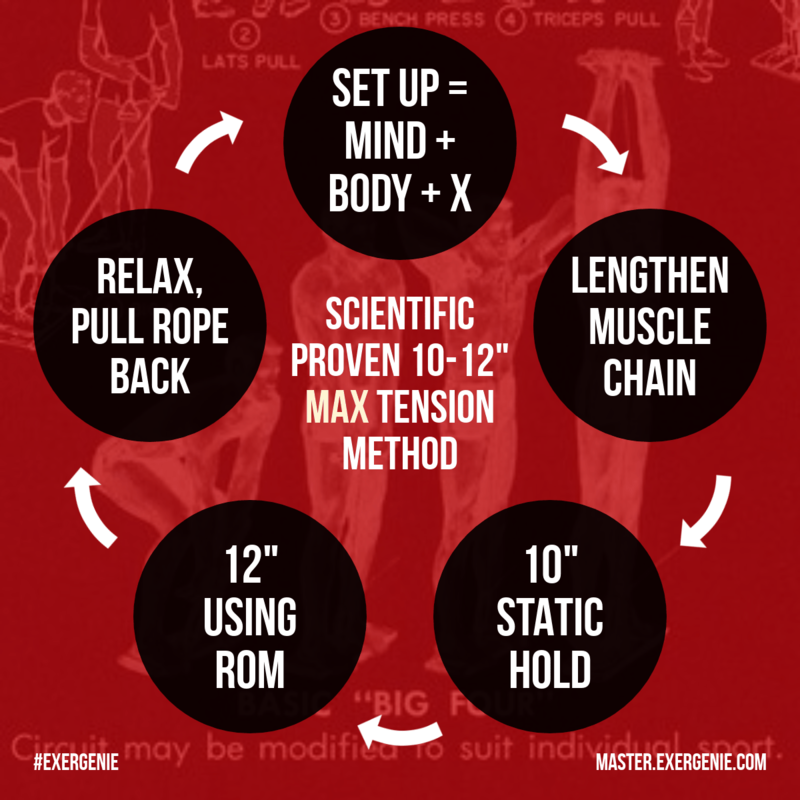 This graphic describes the 10/12 method the Exer-Genie is made for. The Exer-Genie is not made to give you a specific resistance. It is made to give you enough resistance that you cannot move the handle for 10 seconds (though trying almost as hard as you can) and easily can make it moveable by reducing the finger-pressure on the control line to give you the resistance you need to use the full ROM in about 12 seconds (again: while trying almost as hard as you can). If you can finish your exercise faster or have to press too hard on the control line its time to dial-up. 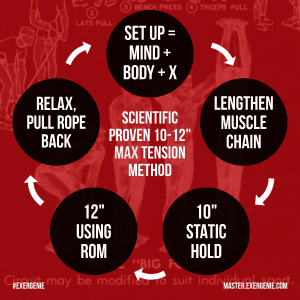 That gives your muscles 22 seconds of a very efficient high-tension stimulus: Being stretched, strained and contracted. If you want to emulate weight exercises you can do so – but be aware that you won’t work very efficient and miss the uniqueness of Isometrics and Isokinetics. Please matriculate in our Online Academy to learn the basics for free.